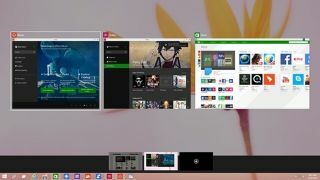 The noise around Windows 9 is reaching fever pitch ahead of its potential unveiling at a San Francisco event on September 30, with the latest rumour once again pointing to the OS being released as a free download for certain users. This particular report comes from Indonesian online publication Detik, which quotes Microsoft Indonesia CEO and President Director Andrew Diantoro as saying that Windows 9 will be made available to download as a free update - if Windows 8 is already installed on the device. It's unclear whether you will need to be on a particular version of Windows 8 to qualify for the upgrade. Earlier this year, Russian hacker group WZOR claimed that Microsoft was deciding whether to offer Windows 9 for free to Windows 8.1 and Windows 8.2 (or Windows 8.2 Update 2) users or to grant a substantial discount instead. Microsoft has been coy regarding the actual name of Windows 8.1's successor, telling ZDNet.fr that while its upcoming event will focus on the future of Windows, there is no official name for what has been referred to as Windows 9, or Windows "Threshold".